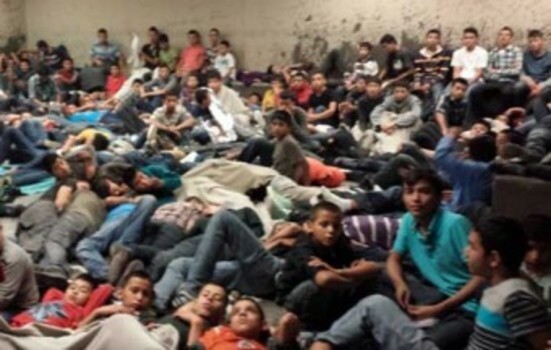 The Department of Homeland Security dealing with more than 48,000 unaccompanied children crossing the border into Texas has created a real controversy. Aside from the humanitarian issues, we must consider what is causing this issue. That centers on immigration reform and the idea of giving amnesty to children. Quite frankly, if I was Mexican, I would have to say that this is a viable shot to secure their future. So what can be done? The entire issue emerges from taxes. The income tax should be abolished and we should simply have a consumption tax period. Why? Because only American citizens and green-card holders pay income tax. Aliens even pay sales taxes. If we abolished the income tax that whoever is here then pays. The “rich” cannot take a lawyer to negotiate the sales tax on a car where that is done with income taxes. « Swedish Real Estate Bubble – Peaking 2015?